A cover letter describing my qualifications. Listing of Trial and Deposition Testimony by type of case, jurisdiction and date. A Complete Resume showing publications, presentations, media appearances, employment and education. A list of questions I ask in order to do an analysis of your case. We never charge for an initial consultation. 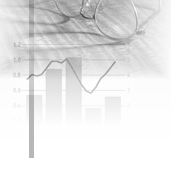 Please contact us to discuss whether economic analysis is appropriate for your case.